An illuminating history of how religious belief lost its uncontested status in the West This landmark book traces the history of belief in the Christian West from the Middle Ages to the Enlightenment, revealing for the first time how a distinctively modern category of belief came into being. Ethan Shagan focuses not on what people believed, which is the normal concern of Reformation history, but on the more fundamental question of what people took belief to be. Shagan shows how religious belief enjoyed a special prestige in medieval Europe, one that set it apart from judgment, opinion, and the evidence of the senses. But with the outbreak of the Protestant Reformation, the question of just what kind of knowledge religious belief was--and how it related to more mundane ways of knowing--was forced into the open. As the warring churches fought over the answer, each claimed belief as their exclusive possession, insisting that their rivals were unbelievers. Shagan challenges the common notion that modern belief was a gift of the Reformation, showing how it was as much a reaction against Luther and Calvin as it was against the Council of Trent. He describes how dissidents on both sides came to regard religious belief as something that needed to be justified by individual judgment, evidence, and argument. 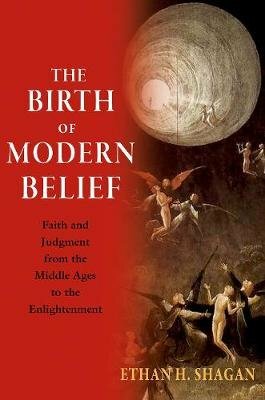 Brilliantly illuminating, The Birth of Modern Belief demonstrates how belief came to occupy such an ambivalent place in the modern world, becoming the essential category by which we express our judgments about science, society, and the sacred, but at the expense of the unique status religion once enjoyed.